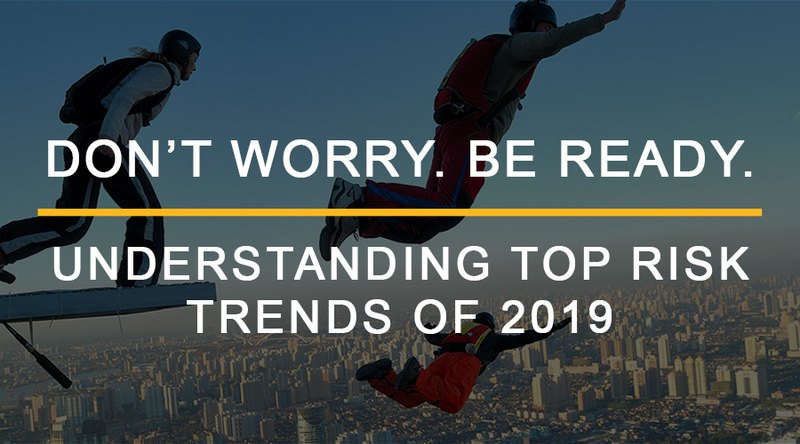 You are invited to our January webinar discussing the top risk trends to expect in 2019. Register for free today! If you are not able to make it to the live event, the recording will be available for download afterwards. What does 2019 hold for risk, and what can you do about it? From fintech to Brexit and everything in between, this engaging webinar will explore the most notable risk trends for 2019 and what they mean for the industry and your institution. This analysis of the industry’s most recent trends will give you the information you need to get 2019 off to a strong start.